Puentes takes its name from the Spanish word for bridges. 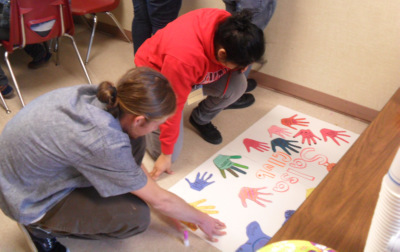 The program works to bridge the cultural gap that exists between Spanish and English speaking communities in Humboldt County. Through Puentes we try to facilitate the needs of the Latino Community in any way possible. Our services are provided to Latino children at an elementary school site. Applicants do not need to be fluent in Spanish in order to volunteer with Puentes. A good portion of our services are provided to community members who are already somewhat proficient in English and who merely need support in solidifying their skills.